Dr. Davis built a successful all-cash Upper Cervical Practice in Southern California utilizing the Internet and other marketing approaches. In 2011 he was injured in a mountain biking accident and was paralyzed leaving him unable to practice. 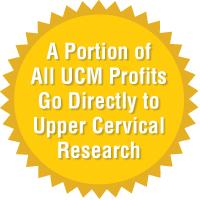 In 2013 Dr. Davis formed Upper Cervical Marketing, an online marketing agency specifically for Upper Cervical Doctors to continue to make an impact worldwide for sick and suffering people who desperately need access to high-quality Upper Cervical Care. Our mission at Upper Cervical Marketing is to connect sick and suffering people all over the world to Upper Cervical Doctors who can help them utilizing the Internet. 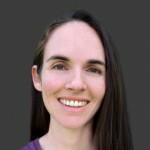 Heather is a certified graphic and web designer. She has designed various websites, logos, business cards, brochures, magazine ads, flyers, packages and banners for client across the USA and Canada since 1996. Heather has also been learning the ins and outs of various forms of social media since 2008. She has strong “techie” background that started to develop when she worked for a computer store in the mid 1990’s. In addition to her background in design, social media and computers, she also has a strong background in business administration, sales and customer service. Heather has been the department coordinator for a major telecommunications company, a department supervisor for various retail sales chains and the sales and customer service manager for a large manufacturing company. As the Director of Operations at Upper Cervical Marketing, Heather applies her knowledge of design, social media, marketing, sales and customer service to every area of operations. She oversees all branches of the Upper Cervical Marketing operations team to ensure the execution of the company’s vision, day-to-day application of the company’s core values, innovation, client satisfaction and performance the various marketing programs and packages. She is passionate about helping Upper Cervical doctors educate, find and help sick and suffering people in their community. Tony desires to serve others with passion and integrity. Graduating from Western Michigan University with a degree in marketing, management and business administration, he strives to make a difference in the lives of others. From 2001 to 2016, Tony also obtained a degree in Biblical Studies, serving as a pastor. Now, as part of the Upper Cervical marketing team, he is excited to be helping sick and suffering people to experience the power of upper cervical cared. 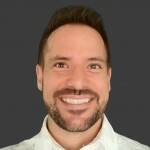 As the Director of Sales and Marketing of Upper Cervical Marketing, Tony applies his knowledge of marketing and working with people to help upper cervical practices find the growth they seek. Prior to coming to Upper Cervical Marketing, Summer worked as a marketing manager for the Navy. She is also a board member of a non-profit organization that brings outdoor recreational therapy and Quality of Life Programs to Disabled and Disadvantaged Children, Disabled Veterans and Wounded Service Members. Her goal is to increase awareness and knowledge of Upper Cervical Care and its benefits to those seeking natural solutions. Creating confidence, establishing trust and credibility in Upper Cervical Doctors and their specific practice techniques. 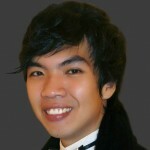 Jhon Vincent Arellano graduated in 2011 with a bachelor’s degree in Information Systems. He is a Front-end and WordPress developer with an eye for details and a passion for perfection. 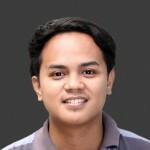 Prior to joining Upper Cervical Marketing Team Jhon worked as a software engineer for a tech software startup company in the Philippines since 2013. When he’s not coding, you’ll typically find him playing video games or listening to good music. Stephanie graduated in 2014 with a bachelor’s degree in Information Technology. Since then she has worked in various industries learning the ins and outs of telemarketing, social media management, data collection, research, customer relationship management and lead generation. She loves being challenged in her work, adapting to innovations and learning new things. Joining the UCM team is like a dream come true. When not working online behind the scenes she loves adventure, dogs and music. She also enjoys spending time with family since they come first in her life. 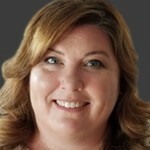 Carol is a writer-turned-marketer who is passionate about content marketing and continuous learning. As our Content Creation Manager, Carol does more than catching typos and bad grammar. 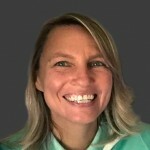 With more than five years of digital marketing experience, she leads our content team in building contents that help upper cervical practices strengthen online presence and acquire new patients. 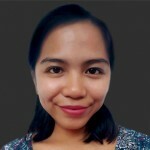 Before joining Upper Cervical Marketing where she started her commitment to patient care, Carol served as a content strategist in a reputable online marketing agency in the Philippines. She spends her free time hiking, traveling, and experimenting in the kitchen. 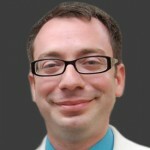 Adam Kantrowitz has been a Freelance Writer since January 2012 and is the owner of FreelanceGhostwriting.com. 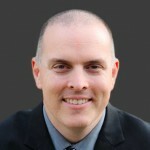 In 2015 alone, he wrote more than 340,000 words of online content for clients in various industries including numerous medical fields, digital marketing, catering and restaurants, retail stores, the security sector, law offices, non-profit organizations, and a wide variety of other niche topics. FreelanceGhostwriting.com is poised to complete more than 1 million words of content this year and is happy to be a part of the Upper Cervical Marketing team bringing better health to people around the world, especially since Adam has personally found relief from migraines and vertigo thanks to upper cervical chiropractic care. Dr. Jane Brewer graduated as the valedictorian of her class from Life University in 2014. She opened Precision Chiropractic, an upper cervical specific practice located in beautiful Loveland, Colorado in July of 2015. She takes care of everyone from weekend warriors to elite athletes, those who are a few days old to those in their 90’s, those who come in with a certain illness or condition and those who come to stay well. When she’s not caring for patients, she can be found on a local trail for a hike or mountain bike ride with her husband, Wes. 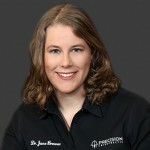 Dr. Jane writes blog articles and other upper cervical specific content for UCM clients. Kelly has a master’s degree in Applied Linguistics and is a certified English teacher. She currently teaches high school English for one of the top-ranked public schools in her state. She has also taught English at the college level for native speakers and international students. She is passionate about empowering others to pursue their dreams, and she hopes that her editing expertise will help Upper Cervical Marketing bring health and healing to chiropractic patients so that they can live healthy, full lives. Joemar began his career in the academe as an educator and textbook writer. Since then he decided to take his skills to the next level and apply the lessons he taught within the classroom to design and create engaging multimedia content for various industries. 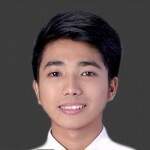 Forever the student of Information Technology, he is constantly reading, learning and applying new innovations that would keep him up-to-date with the constantly changing landscape of IT. Behind the scenes, he loves to spend time with his family and friends. His hobbies include basketball, playing video games and listening to audio books. Clare is a web developer and designer based in Ireland with 8 years experience working with WordPress. At Upper Cervical Marketing she’s responsible for new site design, existing site updates, troubleshooting and generally making sure that our technical network runs smoothly on a daily basis. Outside of working hours she’s usually spending time with family, pets Molly & Kit Kat, or indulging in a great coffee and detective fiction. Her hobbies include travel, cooking and photography. 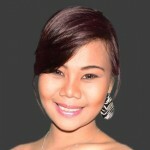 Jiesie has a bachelor’s degree in Science Information Technology. 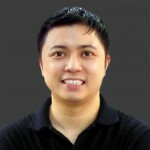 He specialized in web and mobile development. Before joining the UCM team Jiesie worked for an Information and Communication Technology company and as a freelance web developer. As a seasoned Digital Marketer by profession, Lance also does speaking engagement related to career guidance, and tech. During his spare time, he enjoys playing video and board games, read books, and plan for his next adventure trip. 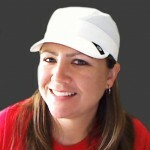 Jessica Zamora has been the bookkeeper for Dr. Davis since April 2010. 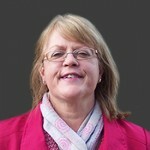 She has enjoyed keeping her accounting skills sharp and keeping the books in order. She graduated with a Bachelor’s of Science in Business Administration in Accountancy from California State University San Marcos in 1997. Having worked as a Staff Accountant until her daughter was born in 2001, she took some time off from her career to raise the children and home school them. She has been able to work in her field while navigating homeschooling four children, teaching 2 year olds at the church preschool and being active in her daughters’ girl scout and son’s boy scout activities. She enjoys family time with her children and husband of 18 years. She is active in her church, passionate about her community and believes strongly in volunteerism. And she loves planning their annual road trips across America. Team – We are team members, not employees. This is not just a job, we are doing work that matters. Our team is on a mission to help sick and suffering people all over the world. We win together or we lose together. We reward performance and results on our team. We have fun and enjoy working together as a team. Family Matters – We balance family with working hard. We give ourselves adequate time to rest and recover with our friends and family and to enjoy the fruits of our labor. We encourage the development of friendships within our team. By giving ourselves margin we are fresh and ready to do our important work that matters. Communication with Consideration– Whether through email, phone, in-person or online meetings our team is considerate of each other and communicate with clarity and gratitude. We treat others the way we want to be treated and keep in mind the best interest of our team, company, clients and their potential patients. We pass negatives up and positives all around and avoid gossip at all times. Trustworthiness– We believe we are in the trust business. We believe marketing is all about building trust, credibility, and likability. We value that we can trust one another on our team. That our clients can trust us as their online marketing department. And that sick and suffering patients can trust the marketing messages we design for our clients. Self-responsibility– Accountability, and ownership of responsibilities are hallmarks of our team. We act like we own the company and have a self-employed mentality. As a mobile and global team, we take ownership of the clients we work for and the responsibilities we perform regardless of where we are in the world. We believe character matters all the time. Continual Innovation– We understand the ever-changing industry with which we work and appreciate the importance of testing and iterating in order to find the best practices for every location and market. Continual innovation helps us acquire new clients and retain the clients who have trusted their marketing to us. Excellence in the Ordinary– We believe in a standard of personal integrity where you own your successes and failures without diminishing or exaggerating your contribution to either. We believe in focusing on our specific strength areas and are faithful in the little things. We believe that diligence is excellence in the ordinary over time and through diligence, we will prosper in our mission.